I was speaking at a business event the other day and afterward someone said, “I’d love to have some tips that I could work on, so I can tell better stories. Do you have a newsletter you can send me?” I told him about the weekly inspirational thought that you can sign up for on the website – and I totally suggest you all do that – it’s great to get an inspiration thought with a call to action each week, right in your Inbox box. But, I started thinking about his request for story tips – because that’s not what comes in the weekly inspiration. 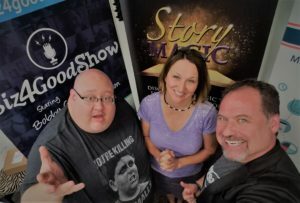 Why not do a whole podcast on story tips? I thought. So, here it is – our first set of story-telling tips. 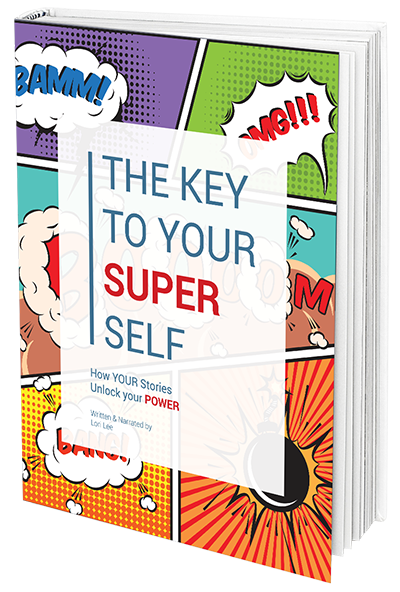 Stay tuned for some tips and techniques for making your stories super effective – powerhouse stories – remember what we say—Story power serves you best when you know how to use it. When I was just starting out in real estate, and for years actually, I would present listing presentations with facts, figures, charts, and statistics. These are the things I thought people wanted to hear. When you are competing for a listing and you want to illustrate what you stand for, and you know you’ll be put up against the other competing agents, you’re going to say, “Of course I’m concerned with client connection and I’ll take your calls.” But, every agent is going to say that. What kind of different response do you think I get when instead I share an example of taking a client’s call at 10:00 pm to discuss a last-minute concern. Or when I tell a story about the time that I helped my client clean up his home when he was short on time in getting moved out? Points are scored and made when a potential client can see your claims in action by the stories you tell. It’s no longer just a statement or a stat – it’s sharing your work in action. This is just one example of hundreds that could be given. But the point is that there is no space in business where having a skill set that allows you to tell the right story in the right way isn’t going to be the most powerful play you can make. This is why these tools matter in the real world. So here we go – do you have your notebook ready? 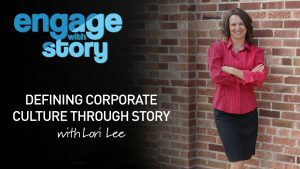 Technique # 1 – Find your stories ahead of time so your quiver of stories is full. As a Realtor, I know the concerns of my clients and potential clients. They want to know that I can get them top dollar for their property, or negotiate the best possible deal on a purchase. They want to know that I will be honest with them. They need to trust that I know and understand the contracts and that I can protect them contractually throughout the negotiation process. They want to know that I’ll take their calls and that their best interest matters to me. Because I know these concerns, I can plan ahead and be prepared with stories that illustrate my values and performance in these areas. I’ve taken the time to dig for and pinpoint the experiences and stories that can help them get a good feel for how I do business and how I will take care of them. Do the same in your field of work. If you work for a non-profit and you are constantly talking to potential donors, have stories prepared that show their hard-earned dollars at work and the difference their money can make. Think about it ahead of time, plan and prepare. That’s what we do that makes us good. It is literally the quiver full of arrows that the hero will shoot to hit his/her mark. Technique # 2 – Get to the action. Once you’ve pinpointed the stories you want to use, don’t add on a preamble when you start to tell your story. The listener does not need a long explanation of where you’re trying to go. For instance, this might be a little long. “It’s great that you asked about whether or not we use environmentally safe products. I’m going to tell you something about that, this is a story we always share around the office….blah, blah, blah. Jump right into the action. Nothing loses the audience like dragging out a point. Jump into the story, imagine the scene, and go straight there. “So there I was…” or “there was a time, just last year we worked with the city to enhance the recycling program.” No preamble, no explanation, just take them to the scene where the action is going to happen. Technique #3 – Don’t be afraid of vulnerability. The stories we, as humans, connect most readily with, are those that draw out our emotion. Stories are vehicles for us to connect our emotional experiences with the characters in the story. How often when you watch a movie or read a book are you brought to tears or laughter because you are relating to the emotional spaces the characters are in? These are the places where you say, “I know what that feels like,” or you nod with certainty because the story has struck its mark. To pull the emotion out of the story because you feel it will be unprofessional is to take the human factor out of the tale, and therein the tale loses its power. Emotion, vulnerability, realness – these are the spaces where we come to our own humanity, the spaces where we connect in real and lasting ways. Emotions like uncertainty, fear, anxiety, even moments that show you making mistakes, love, joy, exhilaration, these are all relatable spaces. Technique #4 – Start with the HOOK. From journalism to advertisements, the first rule is always to start with the hook. We talked above about jumping right into the action. This is a hook technique, but the hook itself is that carefully crafted first line. That statement that instantly pulls the listener in so they engage with the tale you’re telling. “My voice was shaking from nerves.” “Every time the phone rang I jumped.” “After last week’s meeting, I’m not certain I’ll wear socks again.” Whatever it is – start with the one-line hook that is going to get your listener waiting for the message you are sharing. The hook is a line that is so interesting and leaves something unanswered so you know the listener is going to want to see where it leads. Once you find your stories, you can, with a little effort, craft your hooks. Ok, our final tip for the day. Technique #5 – Add the Details. Every good writer knows that without the details you just have a pile of bland facts that most often fail to take anyone away from the spot they are sitting or standing. On the other hand, details create a scene for the listener to escape into. The frayed edge of the rug, the bright gold buttons, the smell of the pine trees and the sun reflecting off the dappled ripples in the stream. These are the details that build a scene and help transport the listener. Some tips here – look for sensory information – how things looked, smelled, felt, what you could hear. What about motion – can you add in something about the jostling as you ran up the stairs, or the way Bill slammed on the brakes or the way the tires squealed. Don’t be afraid to share the details of how things unfolded because these are the pieces that create the set for the story. So that’s it for today fellow storytellers. 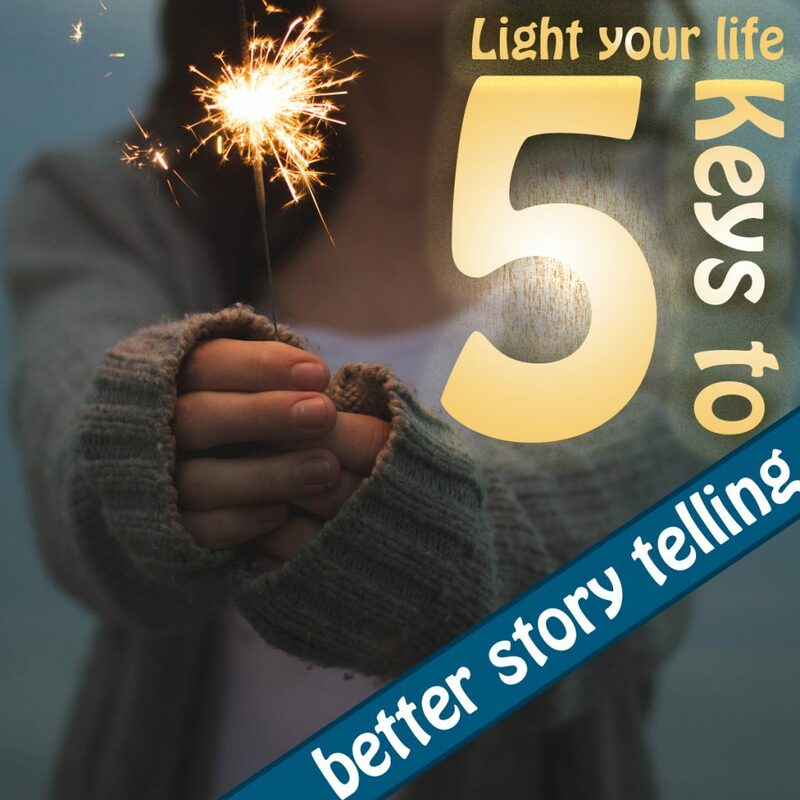 Five tips to work into your stories. Find the stories that you want to have ready to share in your conversations. Prep your hook and jump right into the action. 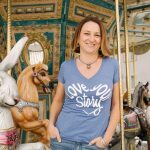 Don’t be afraid to share and create the emotion involved in the story, and then bring in all the glorious details so your listeners are transported to the place you want to take them. The next step – test out your stories. Take notes on the responses you get, and if necessary, adjust it again to make it even stronger. If you have ideas or thoughts on story that you’d like to hear about, go to the Contact Us page and chime in. Have a great week out there working up your best stories with these new story tips and we’ll see you next Wednesday. Please share the podcast with your friends and fam. 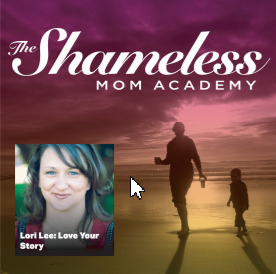 You can listen on www.loveyourstorypodcast.com or wherever you get your podcasts.